High school student Kotoko Aihara has admired Naoki Irie from afar after hearing him make an exceptional high school entrance speech two years ago. Her dream has been to get out of Class F (the class for underperformers) and into Class A—the same class as the school genius Naoki. However, as academics aren’t Kotoko’s strong point, she instead writes him a letter to tell him how she feels. Naoki flat-out rejects her letter offering in front of the entire school, saying he doesn’t like stupid women. Later that night after a mild earthquake destroys her new home, she and her father end up moving into the Irie household. Itazura na Kiss is a romantic comedy that deals with the uncertainties of life in an amusing, reassuring way. Kotoko constantly finds herself out of her element and out of her depth. She is living in another family’s house and neither Naoki nor his little brother Yuuki wants her there. She hopes to attend college, but her entire class is failing the high school exams. And because she’s in Class F, Kotoko and her classmates are considered inferior and ridiculed by the rest of the school. To top it off, she has unwittingly attracted the attentions of a well-meaning but overly emotional yanki-type, Kin-chan, whose passionate, public declarations make her life at school even more embarrassing. Yet even through this, she now has a mother figure in her life (Naoki’s mom) who loves having a girl in the house and who does everything she can to make Kotoko feel welcome, including bringing Kotoko and Naoki together at every opportunity. Kotoko has great friends, including Kin-chan, who are there to help and watch out for her. Even Naoki, however unwillingly at the onset of trouble, is there to lend a hand when it matters. Her uncertainty about her future doesn’t go away, but she has two loving families living together in the same house to support her as she finds her own path. Kotoko is a dreamer with a big heart. It’s these qualities that allow her to press on when others would simply give up. And most girls would with Naoki. He’s conceited, apathetic, and takes special pleasure in making Kotoko feel uncomfortable. But living in the Irie household gives Kotoko a chance to get to know a side to Naoki that he doesn’t show to others, and he is smart enough to realize that her involvement in his life is making him grow as a person. Rather than Naoki, who may be on his way to becoming a more compassionate person, Kotoko’s growth centers on surpassing obstacles that are deemed impossible by other more practical characters. As well as creating engaging characters, Kaoru Tada had a gift for facial expressions. Readers can quickly grasp the emotional and comedic aspects in any given scene. Her artwork is full of gags, but this enables those rare quiet moments to have a special impact. This series was created in the early nineties, and it has smaller panels and fewer screentones than you would find in many current shoujo manga series. This isn’t a detriment to the work; it’s simply different. It also should be noted that the series wasn’t complete at the time Kaoru Tada passed away. However, this series is about the characters’ journey through life, not their destination, so it remains a fulfilling read even though the series never reaches the mangaka’s planned ending. 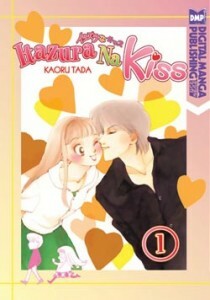 Itazura na Kiss has long been a favorite of mine, and I’m glad to see it released in the US. Few shoujo manga series allow the reader to follow the characters out of high school and stay with them as they go through subsequent stages of life. Amid the hardships and uncertainty the characters face, there is joy in these pages. Highly recommended.